This November, voters in Washington State will decide on a promising piece of climate change legislation. The proposal under scrutiny, known as Initiative 732, would be the first proposed carbon tax in the U.S. If passed, it could represent a watershed moment in the fight against climate change. Unsurprisingly, the Washington initiative has drawn criticism from climate-skeptic Republicans. But in this heated political debate, it is not just the right that opposes the plan. Much of the criticism of the proposal has come from an unlikely source: progressive environmentalists. What’s the controversy about? Initiative 732 would tax carbon emissions at $15 per ton beginning in 2017. That number would rise to $25 in 2018 and subsequently increase 3.5% plus inflation every year, topping off at $100 in 2016 dollars. As a result of the measure, consumers would have to pay a tax on gas and electricity. The plan is revenue-neutral, meaning that the revenue from the tax would be accompanied by equivalent tax cuts in other areas. Specifically, sales tax would be cut by one percent; the federal earned income tax credit for low income-households would rise; and the business and occupation tax on manufacturing would be scrapped, in order to protect businesses and jobs from harm and to keep companies from relocating. For guidance, the policy’s architects drew inspiration from their neighbor to the north. The tax is modeled after a similar measure passed in British Columbia. 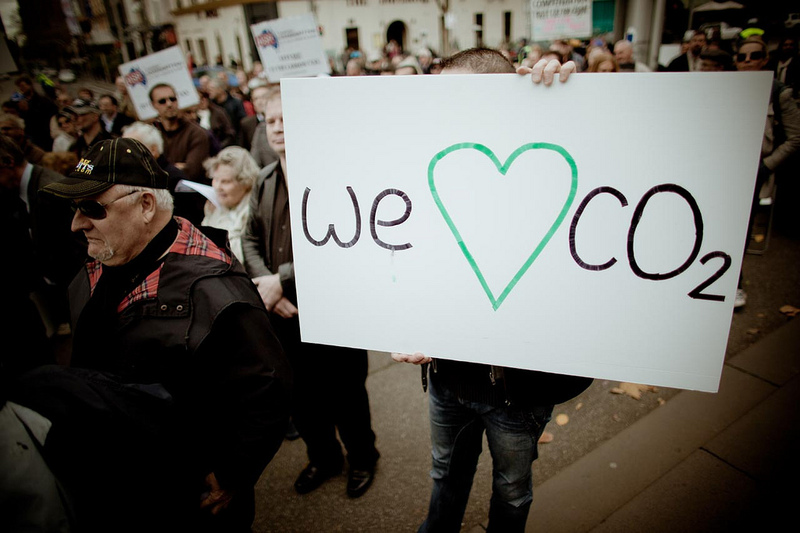 Enacted in 2008, the revenue-neutral carbon tax has been largely effective and has considerable public support. As anticipated by lawmakers, fossil fuel usage in the jurisdiction decreased while economic growth remained steady. Carbon emission went down 3.5 times faster than the rest of Canada. Even if cement makers and farmers complained about their bottom lines, the net effect stayed positive and researchers established that there was zero evidence that the carbon tax led to job losses. One might expect Republicans to oppose a policy like Initiative 732. Instead, the measure already has the support of three Republican state legislators and it has faced little opposition from oil companies and other business interests, which is not often the case with climate legislation. However, in what has become a contentious political battle, a broad coalition of environmentalists, minority groups, labor unions, and sympathetic businesses have fought the measure tooth and nail. The main point of disagreement for the coalition – called the Alliance for Clean Jobs and Energy – is the measure’s revenue neutrality. Instead, they argue, the funds collected should be spent in other areas, rather than being recycled in the form of tax cuts. They insist that the money go to investments in clean energy; improvements in public transport; improvements in infrastructure to help those most vulnerable to the effects of climate change; compensation or training for workers who might be put out of work because of the tax. Yes, there are challenges on the right — skepticism about climate science and about tax reform — but those are surmountable with time and effort. The same cannot be said of the challenges on the left: an unyielding desire to tie everything to bigger government, and a willingness to use race and class as political weapons in order to pursue that desire. Unsurprisingly, many did not take kindly to those words. But he has a point. Environmentalists and others on the left should be jumping at the opportunity to support the proposed carbon tax. Carbon pricing has been widely embraced by economists and climate leaders alike. The IMF’s Christine Lagarde and Jim Yong Kim, the President of the World Bank Group, wrote an influential article last announcing the set up of the Carbon Pricing Panel to bring together “heads of state, city and state leaders, and representatives of top companies to urge countries and businesses around the world to put a price on carbon.” Even Kazakhstan, a major oil producer, has taken a strong line towards clamping down on the effects of climate change and has passed a cap and trade scheme. The country is currently organizing the Astana EXPO 2017, which will is expected to draw together 5 million visits to discuss “future energy” solutions that look beyond fossil fuels. With Initiative 732 on the ballot, the state of Washington faces a tremendous opportunity to finally pass effective legislation on climate change that could catalyze a national effort. Given the appalling lack of extant climate legislation in the US, that would be a significant step forward. Initiative 732 may not be perfect, but it’s better than nothing. And considering the lack of viable alternatives currently on the table, nothing indeed looks to be the alternative. In light of all the turmoil over Washington’s climate debate, there is an important lesson to be learned: at least some of the Republicans long considered beyond salvation can be made to understand the merits of climate change legislation. But progressives should also embrace compromise-driven progress, especially on issues that have thus far been so polarizing.